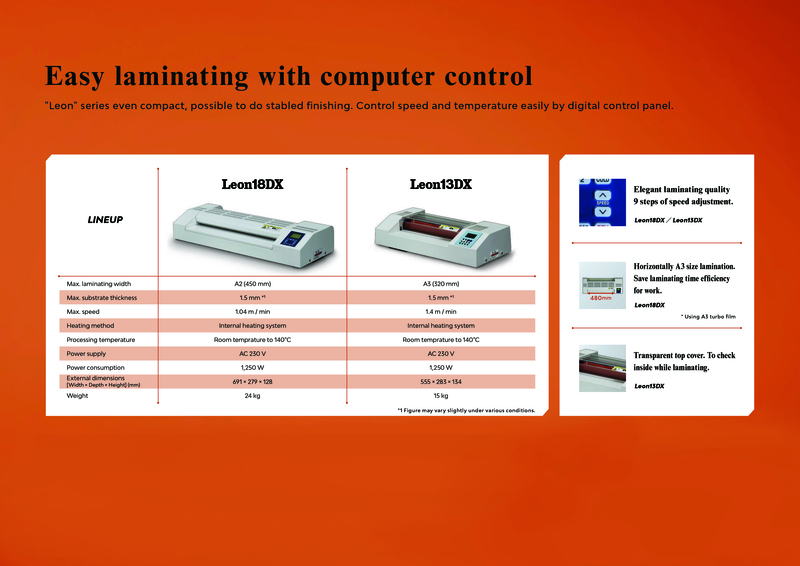 High quality laminating with stable heating system. 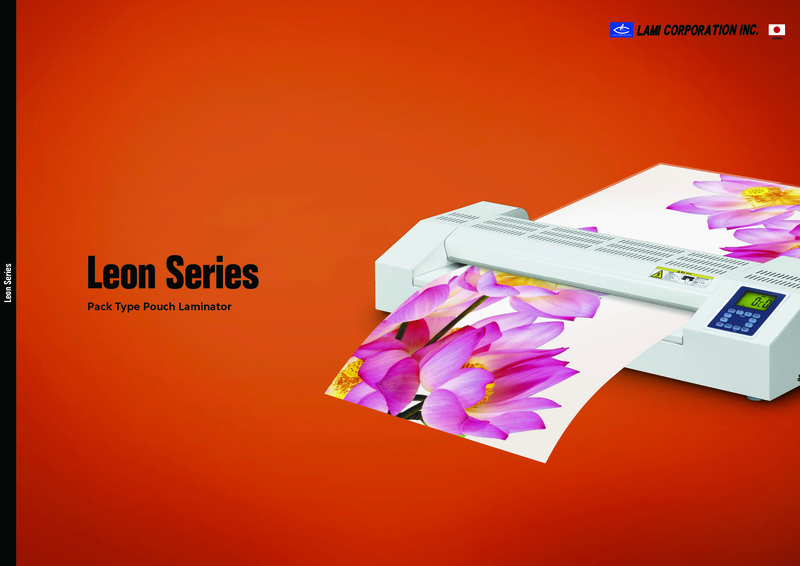 Available various laminating flims with microcomputer control system and save power consumption. Easy checking processing progress by adopting transparent cover. Easy operate to control temperature and speed with LCD panel.